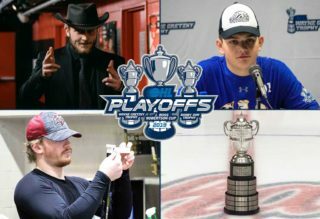 We haven’t yet hit the midway point of February but the OHL’s cream of the crop has begun to secure spots in the 2019 OHL Playoffs. The Ottawa 67’s, London Knights and Sault Ste. 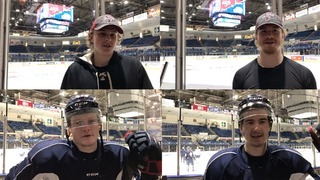 Marie Greyhounds all etched an ‘X’ next to their names in the league standings as the first three teams to emerge as OHL Championship contenders when the league’s annual Playoff showdown begins in mid-March. 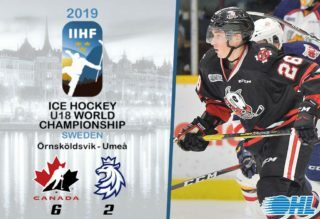 Having established themselves inside the Kia CHL Top 10 Rankings in 17 of the 20 weeks of the 2018-19 season, the fourth-ranked Ottawa 67’s continued their strong play this past weekend earning five of a possible six points on the road. The 67’s, who were without the services of goaltender Michael DiPietro who remains on an emergency recall with the NHL’s Vancouver Canucks, defeated the Peterborough Petes 4-3 in a shootout on Thursday, saw a nine-game winning streak snapped in a 2-1 shootout loss in Mississauga on Friday before recovering to defeat the Hamilton Bulldogs 4-3 on Saturday. 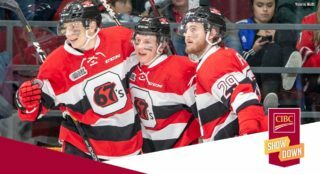 The 67’s are well on their way to securing their first East Division title since 2012. Congrats to @Ottawa67sHockey becoming first to secure a berth in Eastern Conference #OHLPlayoffs. Ottawa’s Tye Felhaber remains on top of the mountain in the OHL scoring race, leading the league in both points (93) and goals (53). Felhaber’s 53 goals are the most by a 67’s player since Tyler Toffoli netted 57 during the 2010-11 season. 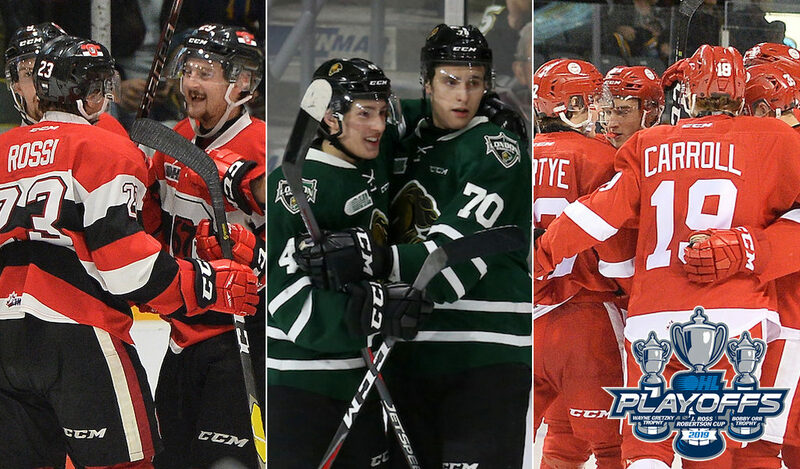 Linemate Austen Keating continues to lead the OHL in assists (55) while goaltender Cedrick Andree picked up a pair of wins over the weekend for a league-leading 30. Also of note, 2020 NHL Draft prospect Marco Rossi has 53 points (24-29–53) the most among OHL rookies this season. The Knights joined the 67’s in clinching a playoff spot on Thursday despite being out of action as the Western Conference’s ninth-place Windsor Spitfires fell 4-1 to the Saginaw Spirit. 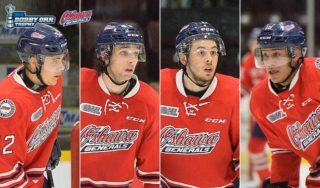 The CHL’s third-ranked Knights weren’t at their best this weekend however, dropping consecutive 6-3 road losses in Saginaw and Sault Ste. Marie following a 6-3 win over the Owen Sound Attack at home on Friday. Regardless, the Knights return to the postseason for a 19th straight year. Congrats to @GoLondonKnights becoming first to secure a berth in Western Conference #OHLPlayoffs. Overage centreman Kevin Hancock continues to be a force for the Knights, putting up five points (2-3–5) over three games this past weekend for a total of 23 points (10-13–23) over 17 games since joining the Knights in early January. Columbus Blue Jackets prospect Liam Foudy hit the 30-goal plateau over the weekend as well. The Scarborough, Ont. native has points in 15 of his last 16 games. The Knights also had some good news this past week as Ottawa Senators prospect and Canadian National Junior Team representative Alex Formenton saw his first action since Dec. 8th on Thursday. 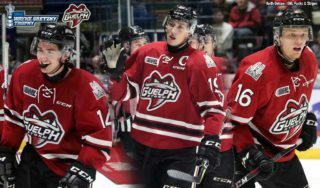 The Soo Greyhounds defeated the aforementioned Knights 6-3 on Sunday to become the second Western Conference team to clinch a playoff spot. With a third straight West Division title in their sights, the Hounds improved to 35-12-5-1 after Sunday’s win behind Cole MacKay‘s first OHL hat-trick. The Greyhounds recovered from a Wednesday night loss to Sudbury, bouncing back to defeat Niagara and London on a tough weekend at home. Congrats to @OHLHoundPower becoming second to secure a berth in Western Conference #OHLPlayoffs. The Greyhounds continue to get regular contributions from overage Toronto Maple Leafs prospect Mac Hollowell who leads OHL defencemen in scoring with 61 points (19-42–61). Fourth-year Philadelphia Flyers selection Morgan Frost had a big weekend, putting up seven points (2-5–7) over the past two games to place him in a tie for third in league scoring with 88 points (34-54–88) over 46 games. Frost is just 11 points away from the 300-point milestone on his OHL career. While the 67’s have a firm grip on first place in the Eastern Conference, the Greyhounds are hot on the heels of the Knights, trailing London by just four points. The two clubs will meet once more on the regular season schedule, a meeting that comes on Mar. 15th in Sault Ste. Marie.